Call us for after hours appointment! We at QCA are here to provide you with everything you need for your pool or spa. Buy your spa now, have it delivered FREE for that special someone. No electician necessary. All you need is a a 20 amp outlet and a spot to place it. Purchase of DreamStar, Riveria, and Mystic includes flex cover, starter chemicals, and delivery (QC Area only). Purchase of the Star Gazer includes, hard cover, starter chemicals, steps, and delivery (QC Area only). 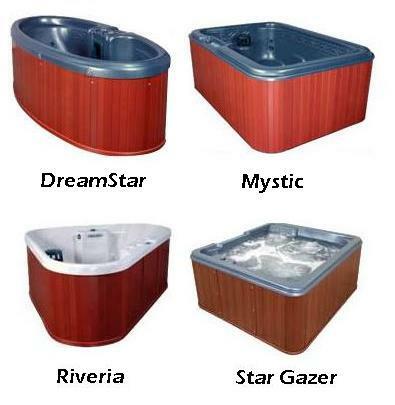 LOOKING FOR SOMETHING BIGGER, jump over to www.qcaspas.com and look through our wide variety of spas. Receive exclusive sales and coupons through email for all of your pool and spa needs. For those who aren't Gold Q Card Members, ask us how to become a part of the team. We would love to see your backyard creation after purchasing your swimming pools! Earn specials credits in store when you send us pictures of your pools that we've installed for you.